“A green footprint is an inevitable part of future tourism in the Arctic,” says Agnes Árnadóttir, co-founder of Green Wave Holding, the company to launch the very first non-pollution cruise boat for Arctic waters. 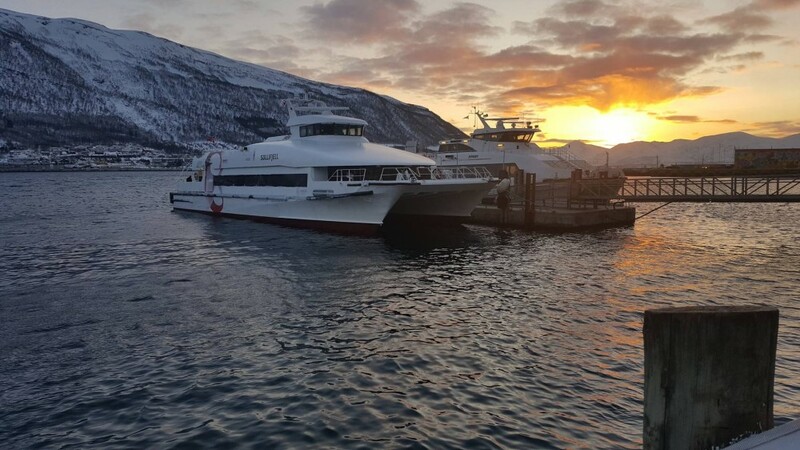 The catamaran will have her maiden voyage with passengers embarking at the port of Svolvær, Lofoten in August 2019. With a capacity of 140 passengers, “Brim Explorer” can sail on batteries for 10 hours with a cruising speed of 10 knots. The batteries can be charged over night at almost any shore power found in ports. If in need to sail longer distances at higher speed, the catamaran has a diesel engine running on non-polluting bio-fuel. The vessel will be built with large windows, taking the passengers closer to nature and wild life for the entire voyage in all kinds of weather the coast of Northern Norway can offer. When lucky, that includes Midnight Sun in summer and Northern Lights in winter. On whale watching safaris, the ship can get much closer to the animals without disturbing them. “Noise pollution is a serious problem for both large and small habitants of the ocean,” she says. “Brim Explorer” is now under construction at a yard in Ålesund, Norway. “There are few things more mind-blowing than standing outside in the dark Arctic night and hear the sound of the whales while smelling their herring-breath” Árnadóttir says with enthusiasm. Winter tourism is growing fast in the fjords of Northern Norway, not least thanks to spectacular photos of humpback whales and killer whales in the waters just outside Tromsø. The whales are following the food, and in recent years the stock of herring in the fjords in Troms provide for the best lunch a whale can get. For tourists with social media photos in mind, the background imagery of majestic snow covered mountain peaks in weak bluish winter lights makes whale watching voyages even more spectacular. 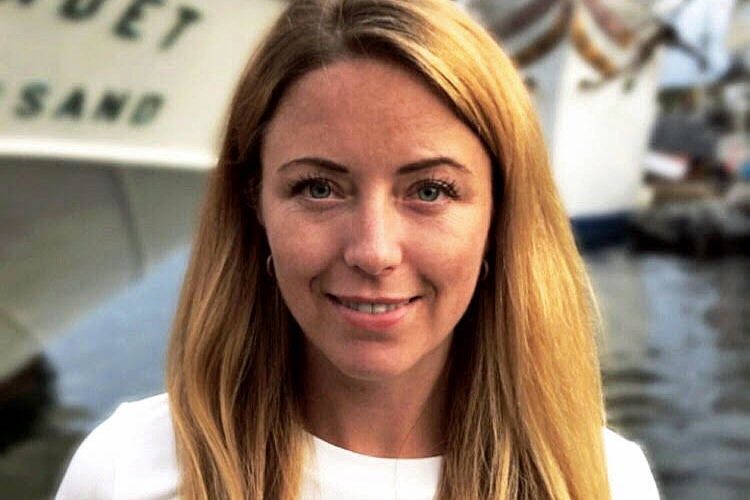 Together with Green Wave Holding’s co-founder Espen Larsen-Hakkebo, she already eyes new, expended operations. The company hopes to get a fleet of both day-tour vessels to destinations along the coast, but also to operate small expedition vessels that can take guests to vulnerable destinations in the Arctic with the use of battery-powered engines. “That track will be driven by the tourists themselves and their preferences for a green alternative, but also the politicians who need to make a strategy for how we can combine tourism and protection of our vulnerable Arctic areas in a good manner,” Agnes Árnadóttir argues. The Barents Observer has previously reported about the first prototype electric snowmobiles under testing for tourist purposes in Finnish Lapland. Also, a network of chargers for electric cars is coming on the Kirkenes-Murmansk highway, as well as along other cross-border roads from Northern Norway. Norwegian aviation authorities says it is only a time-question before the first electric passenger planes will come for commercial flights to the smaller airports in Northern Norway. In Sweden, the mining industry is now introducing huge electric mining trucks and a fleet of battery-powered busses is already serving the city of Umeå. Even the military find advantage of battery-power, as Norway’s guards on the border to Russia are currently test-riding all terrain electric bikes. For expedition cruises to ice-covered waters like Svalbard, Hurtigruten is expanding its fleet with two new hybrid-battery ships. Also, Hurtigruten shift from diesel engines to gas-powered engines supported by batteries in a hybrid combination for at least six of the vessels today sailing the Bergen-Kirkenes voyages. In times of dramatic climate changes, it is fear to say the Arctic leads the way towards an electric non-pollution transportation future.